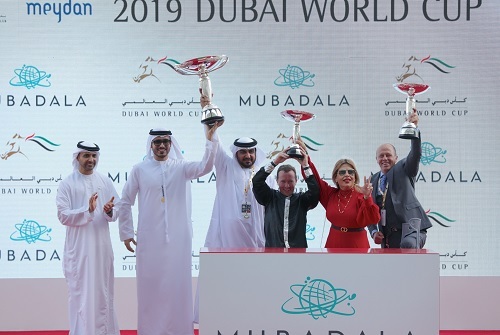 The 2019 edition of the $1 million Group 1 Dubai Kahayla Classic will go down as one of the most thrilling in the history of the race over the same 2000m dirt course and distance as the Dubai World Cup. 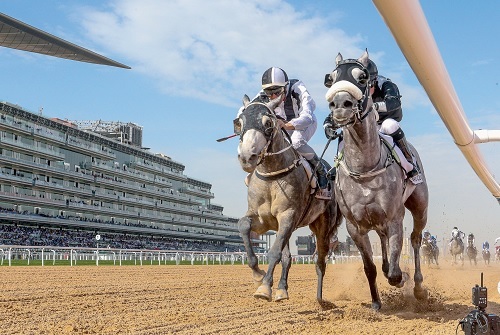 Neck to neck, AF Maher trained locally and the Polish raider Fazza Al Khalediah battled throughout the straight and all the way to the line. 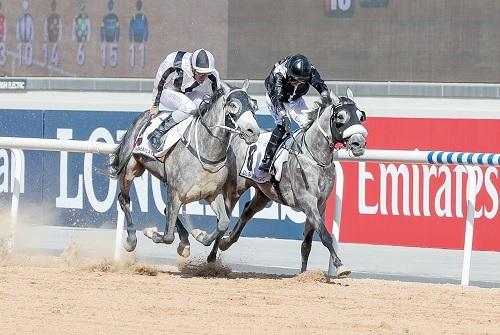 With 300m to go, AF Maher lost his advantage that he had held since the gates opened, but he fought back and slowly but surely managed to get his head in front once more to pass the winning post as the new victor of this Purebred Arabian feature. “You need courage and that is what he has,” said his jubilant jockey Tadhg O’Shea, who had the choice between the 6yo and the other Ernst Oertel-trained runner AF Al Sajanjle. 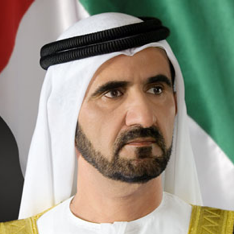 Only a few hours before the race, he said he was hoping to have made the right choice after AF Maher had impressively disposed of Ziyadd in his prep race, which statistically has not been the greatest pointer towards the Kahayla Classic. “Statistics and records are there to be broken,” he continued. “I have had great belief in this horse and already told Ernst Oertel a long time ago that I thought he was very good. 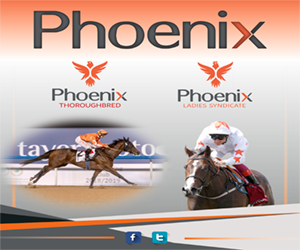 He was still very unexposed and it was always the plan to take him to the front and set the pace. 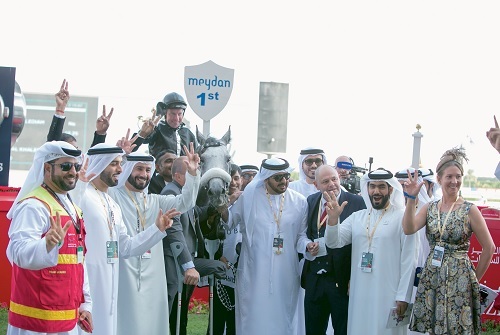 It has been 11 years since I won this race on the mighty Mizzna and it’s just absolutely amazing to win it again.” Owned and bred by Khalid Khalifa Al Nabooda, AF Maher provided Ernst Oertel his first victory in this race and the trainer said: “This is what Purebred Arabians do: they battle. I’m so happy and I’m lost for words. 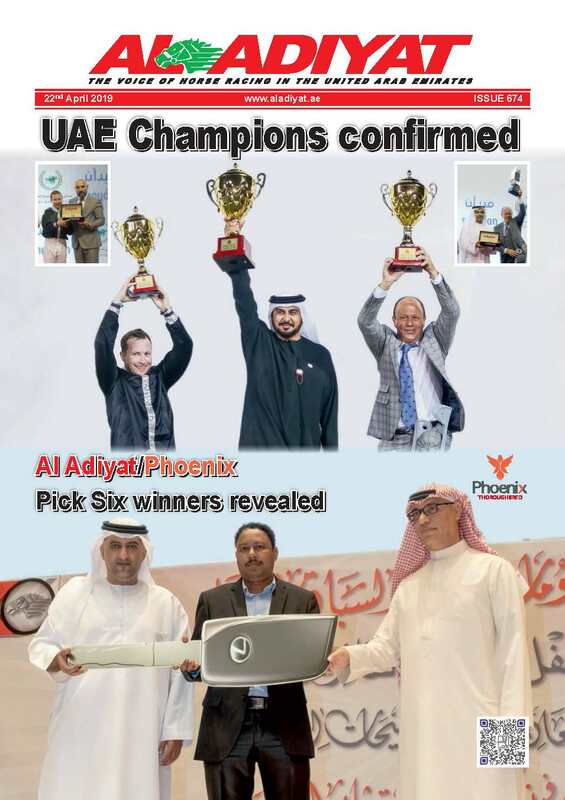 I am just so proud.” With such a strong tempo from the start, last year’s winner Tallaab Al Khalediah was not able to dictate the pace from draw number 12.